I've known I need to make this quilt for a couple of months. I just didn't know, or feel exactly what, other than lots of pink. I've since found out aquas are her favourite, along with rich tropical hues. Reminder of a previous Tip: I'm using the "Book It!" 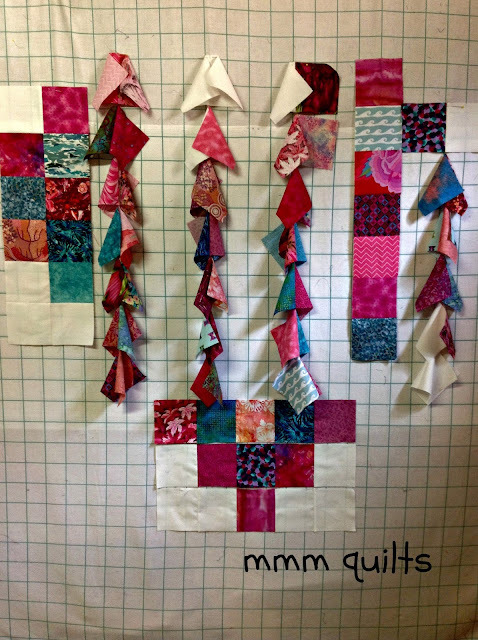 method for this quilt which is so awesome in keeping all the squares organized. I wrote a tutorial which you can find under the tab up top or click here. I'm on Step 6 right now, where I'm beginning to piece the "books" aka pairs of squares, into columns. Because the heart is not a square shape, I pieced as much of the square part as I could with that method, and I've got the bottom three rows sewn into rows, attached with a chain of thread holding each set together so they don't get out of order. For the background, I plan to add in big squares and a couple of strips as opposed to filling in everything with more white 4.5" squares. Happy Reading! I'll be linking this post up with Stephanie's Tips and Tutorials Tuesday at Late Night Quilter, and also with Nicky's Scraptastic Tuesday at Mrs. Sew and Sow. ...and a loving quilty hug it will make! It is going to be a beautiful hug! Love the colors. 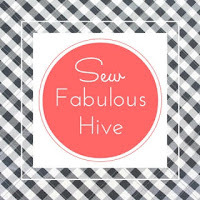 I love the connection between you and Helen because of the blog hop; that makes this quilt even more special! I hope it comes together well and provides some much needed loving care for a friend. That is going to be a beautiful quilty hug. Love it! It's going to be a great gift for your friend. I've seen a few of these hearts...think it might make it on to my to-do list. What a great pattern for a quilty hug! These colours work really well with aqua, so even if it isn't her favourite colour, it should work well with her tastes. Your friend will feel very loved! This is going to be a great quilty hug. Sure your friend will be overjoyed with this fantastic quilt Hug. Your friend will love this quilt. I love the color combination of the bright pinks and the turquoise. It's just a happy quilt. What a great use of scraps Sandra. 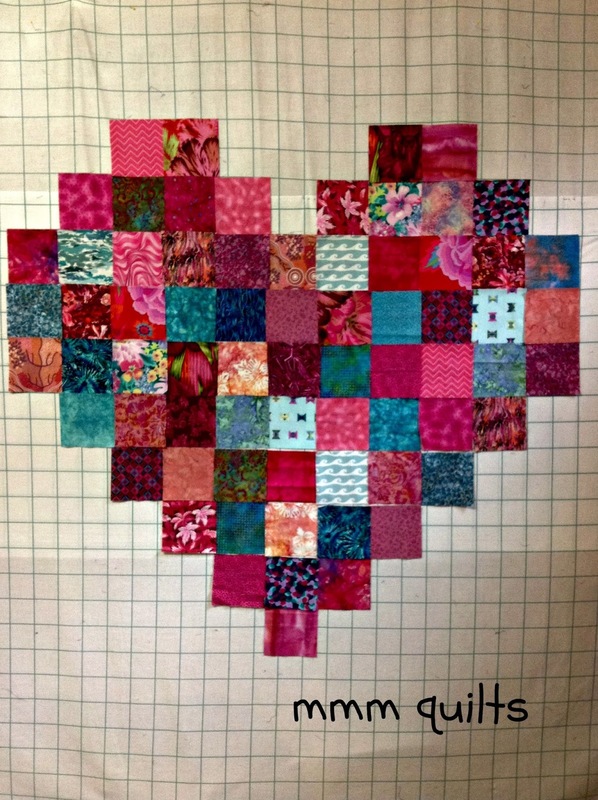 I guess this quilty hug is quite large at 4 1/2" squares. It will wrap around your freind quite nicely. Love love love!!! Thank you for linking up with Tips and Tutorials Tuesday!